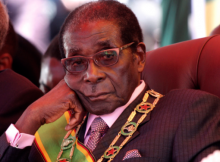 Days after the World Health Organization named Zimbabwean President, Robert Mugabe as a goodwill ambassador, a move that angered and stunned human rights activists, it rescinded the appointment. Tedros said he consulted the Zimbabwean government and concluded it’s in the organization’s best interests. The public health agency announced the appointment on October 19, 2017, saying the African leader would focus on noncommunicable diseases on the continent such as heart attacks and strokes but the public outcry that followed led to the new decision. Next Post:‘Today is the saddest day of my life’ – Doctor narrates how woman who has been barren for 14 years died at childbirth!